In today’s chaotic and challenging world, it’s more important than ever to be in the “circle of consideration” when a potential customer is in need of your product or service. If you aren’t, you risk missing out on many new business opportunities. There are a number of ways that you can creatively build buzz for your business to help generate awareness and educate people about your products and services. However, before putting your business in the spotlight, it’s important to make sure that you have your best foot forward, and ensure your business is ready to receive the attention it deserves. For example, be sure to define the top 3-5 key messages about your business – such as what it offers and what makes it unique. Also, ensure your marketing collaterals and website are both informative and professional looking. So, what is not newsworthy? Avoid anything that comes across as too self-serving or promotional in nature. Keep in mind that news needs to be timely and news cycles change rapidly. However, something of lower news value may actually be viewed as good “filler” material on a slow news day for some news outlets. The importance of managing a strong reputation will continue to grow. Successful businesses must be prepared to handle any bad news, which travels much faster these days, and be able to harness good news. There will continue to be an expanding circle of influencers with whom you need to make sure your company’s voice is heard. So, don’t be shy. Get out there and take full advantage of all of the tools available to help you create more buzz for your business. ABOUT BUZZ CREATORS, INC.: Buzz Creators, Inc. is a Westchester, NY-based boutique public relations and marketing firm servicing the metro NY area and beyond. At Buzz Creators, we believe that every business has its own unique and special story. Our goal is to help clients tell theirs. Buzz Creators assists its clients with developing strategic PR campaigns; media relations; social media; writing and editing; grand openings and special events; thought leadership; advertising; graphics design/branding and more. 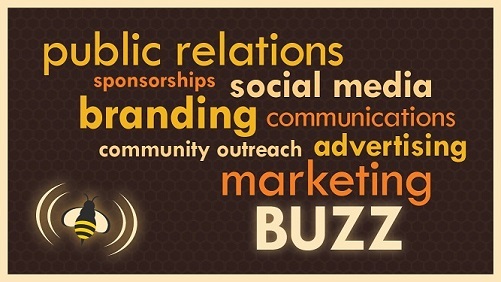 The Buzz Creators team has helped develop strategic communications programs for many well-respected national and global organizations, such as Barnes & Noble, MasterCard Worldwide, HEINEKEN USA, Stew Leonard’s, Leukemia and Lymphoma Society, American Heart Association and UBS Financial Services, in addition to leveraging their PR, social media and marketing expertise to help many regional small businesses increase their presence in the marketplace.